This newsletter informs about the latest publications, events, calls and news of the Centre for Advanced Studies in the Humanities and Social Sciences (Kolleg-Forschergruppe, KFG) "Multiple Secularities - Beyond the West, Beyond Modernities" at Leipzig University. If you do not wish to receive this newsletter, please use the "unsubscribe button" on the bottom of this email. Any further information on the project, its research programme and members can be found at www.multiple-secularities.de. The programme for our conference on Critique of Modernity (14-15 June 2018), is now online. Listeners will have to register until 3 June 2018, please send an email to multiple-secularities@uni-leipzig.de and use the subject MODERNITY. On 31 May the KFG co-organises a public talk together with Kornelia Sammet's project Worldviews of Unemployed People. Zafer Yilmaz will present a lecture on The Authoritarian-Islamic Populism, Islamisation, and Politics of Welfare in Turkey at 08:15 p.m. at Café Alibi (Bibliotheca Albertina, Beethovenstr. 6). Please save the dates for our upcoming events: On 18-20 July we will host a workshop on Secularities in Japan and from 4 to 6 October we will have our autumn conference Secularities - Patterns of Distinction, Paths of Differentiation, featuring a public keynote by José Casanova. Stay tuned for more information on these events. 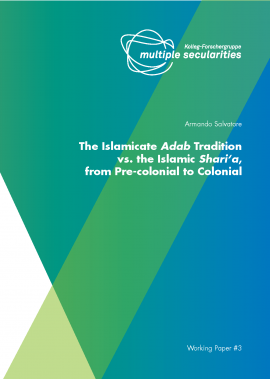 Armando Salvatore's Working Paper (#3) on The Islamicate Adab Tradition vs. the Islamic Shari‘a, from Pre-Colonial to Colonial and C. Pierce Salguero's Working Paper (#4) on Healing and/or Salvation? The Relationship Between Religion and Medicine in Medieval Chinese Buddhism have been published recently. Markus Dreßler's article The Social Construction of Reality (1966) Revisited: Epistemology and Theorizing in the Study of Religion has been published in Method & Theory in the Study of Religion (2018). 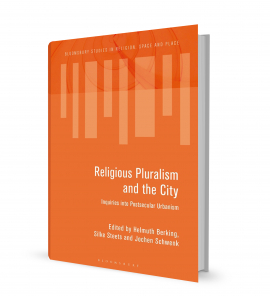 Our Associate Member Silke Steets co-edited a recently published volume on Religious Pluralism and the City. Inquiries into Postsecular Urbanism. The volume includes an article by our former Senior Researcher Marian Burchardt et al. on Religious Superdiversity and Urban Visbility in Barcelona and Turin. Hans-Georg Ebert has recently published the monograph Die Religiöse Stiftung im Islam (waqf) nach hanafitischer Lehre. Die stiftungsrechtliche Kodifikation von Qadrî Pâshâ. 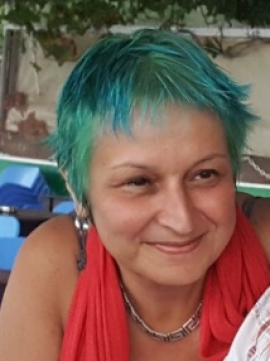 İştar Gözaydın, who has been appointed Leibniz Professor of Leipzig University in cooperation of the Research Academy Leipzig with the KFG "Multiple Secularites" for the summer semester 2018, will have to give her inaugural lecture The Desire Was There on 15 May at 6 p.m. at Villa Tillmanns (Wächterstr. 13) via skype, because Turkish authorities refuse to issue her passport. The KFG expresses strong support for Professor Gözaydın. We hope that she will be able to take up her position in Leipzig as soon as possible.